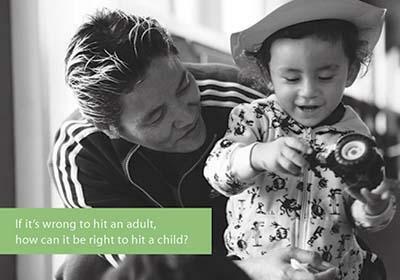 Help stop the violence against Maori children. Vote YES to the referendum. Help stop the violence against our ririki! Front up and speak up on behalf of our children. Vote Yes for the referendum. Vote Yes to show you support a law that is working well. Good parents are not being criminalised. Vote yes to show you believe that all children must not to be hit just as happens with adults and animals. The law is saying that ‘good parenting’ means you don’t have to hit children. Use other techniques. Voting YES says you believe we can be a nation where children can grow up secure and confident, understanding limits and boundaries and behaving well – without physical punishment. Let’s show our children that they are all taonga; that they are tapu-special- because they hold the whakapapa for the future. Post your voting form with your YES vote. One Response to "Help stop the violence against Maori children." This Alan McAlister of Late Gerald McAlister is teacher at Te Rawhiti school include my late Iona McAlister has coming to Te Rawhiti hall for my late Iona McAlister memory service without me still at TAFE college in Australia. I know Pat wish not tell me for Iona funeral service planning in Auckland on after Iona funeral service in Brisbane. I much missing Iona McAlister funeral service at Te Rawhiti hall until I coming to Auckland for my former kelston school for the deaf 50th Jubiless on last ANZAC weekend then I going to Iona McAlister buried ashes still at Late Gerald McAlister buried at North Shore cemetery and arrange transport by cousin. A courisn her told me for Iona funeral service at Te Rawhiti. I told to cousin and I said siste don’t want tell me it. I said Te Rawhiti population are not many people living now. Also I remember little maori girl chase with me at Te Rawhiti house. But I know little girl maori is state of mental but I don’t want hurt her as fun chase on sometimes. I missing eat love smoke fish at Te Rawhiti. I love watch maori haka game. I know “Violence word” is big problem due lack of communicate at all times. I can’t feel sorry to sister is big problem for married fail.